Okay, maybe not that bad. BUT: we are acidifying the ocean. You see, carbon dioxide, in addition to being a pesky greenhouse gas (and the baseline from which we calculate the greenhouse gas effect of other substances) also lowers the pH of saltwater once it is absorbed. Turns out as well, that we’ve known about this for quite some time. 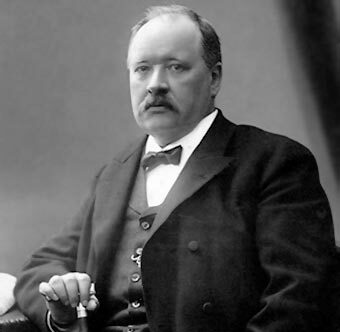 Holla atcha boy, Svante Arrhenius, who discussed how carbon dioxide becomes “carbonic acid” in the 1890s. While this acidification is imperceptible (so far, ah ha ha ha) to humans, not so for marine life. You see, there are a range of calcifying organisms including corals, mussels, shellfish and so on, that are integral to coastal wellbeing. As this study by researchers from the NRDC indicates, regions that depend on coastal capture for subsistence and economic health like, say, everywhere, are likely to suffer as these calcifiers become more vulnerable to changes in oceanic pH, pollution, predators, overfishing, and the like. What’s even more frustrating about this problem is that some of the solutions proposed to deal with climate change may exacerbate acidification. See, climate change can be addressed by focusing on gases other than carbon dioxide. For example, you can lower methane emissions, or HFC-23, which will do nothing to address acidification. Worse, one of the proposed methods of fighting climate change – iron fertilization – essentially stimulates the ocean to absorb more carbon dioxide in order to take it out of the atmosphere. While this would create a new sink for atmospheric carbon (yay! 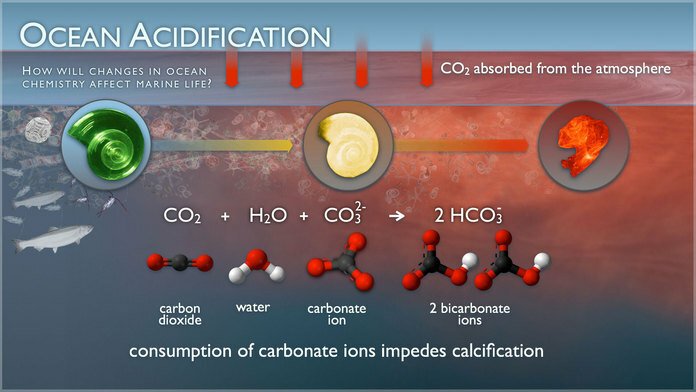 ), it might cause the ocean to acidify even faster than it is now (boo!). It certainly doesn’t help that, for at least the past 10 years, various interests have been promoting iron fertilization as a tool to generate carbon credits under the UNFCCC and the Kyoto Protocol. Right now, the policy discussions on ocean acidification are still fairly new. There are some policymakers in the US that have been involved in events like the Third Symposium on the Ocean in a High CO2 World, such as Sam Farr (D-CA), but the problem of ocean acidification is still in the early stages on the political agenda. So, how will we deal with this problem? Will we design climate change mechanisms that focus on reducing and removing carbon dioxide? Will we focus on ameliorating the effects of acidification on coastal ecosystems? Will we cut pollution on the coast? Time for some CAUTIOUS OPTIMISM, SON! Look for me to present some of my research on this topic at the 2015 APSA Annual Meeting. San Francisco, what! This entry was posted in Ocean Acidification on July 1, 2015 by Kemi Fuentes-George.